The tablet chlorination system is easy to install and can be integrated into existing processing lines at multiple points with low capital investment. Once in place, the system runs simply and effectively with minimal maintenance. 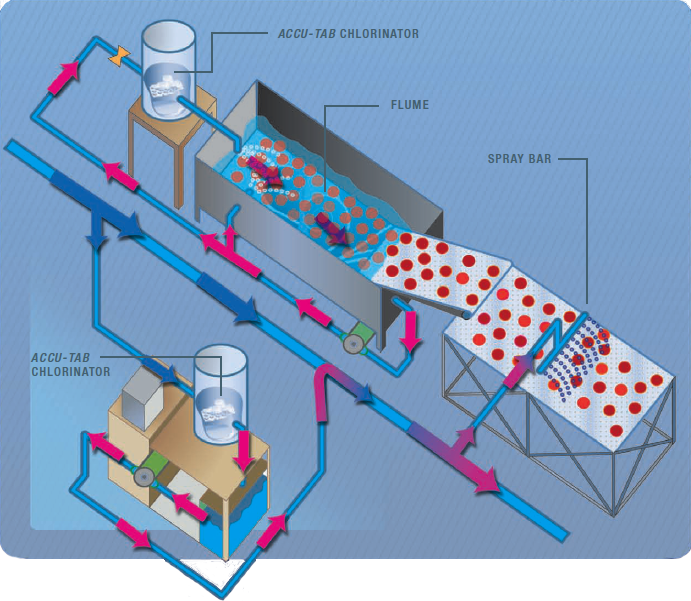 The diagram below shows how the chlorinated water is incorporated into the main water stream in a fruit and vegetable processing plant.